Whether you are looking to build a contemporary home, modern home, or even a classic victorian style house, our vast architectural styles can suit your needs. If you are not sure which direction you want to go yet, let us know and our custom building expert will reach out to you and work with you. When Callaway Homes builds your design we build it to last a lifetime. The elegant appeal of our homes never goes out of style. We have over 15 years of building experience, now let us help you. When working with Callaway Homes, our lead builder walks you through the entire process every step of the way. There is no disconnect or delay on answers and results. We are a full service general contractor that has experience in all aspects of the construction industry. 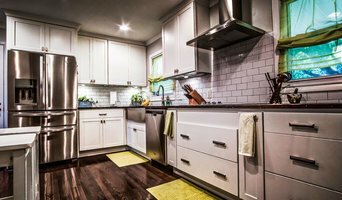 The company has the unique ability to do complete home renovations in historic areas along with brand new custom builds. We do remodeling projects of all sizes and provide complimentary consultations and design assistance for all your project ideas. At Woita Homes we are dedicated to QUALITY DESIGN and AFFORDABLE HOMES. Our mission is to build homes to reflect our customer's personality and lifestyle while also evoking creativity. We believe in a clever approach toward functional design. We LISTEN to our client's needs, desires and budget. By UNDERSTANDING your concept of 'home', together we will work with you to create an environment that is aesthetically beautiful, yet practical and functional for your everyday life. 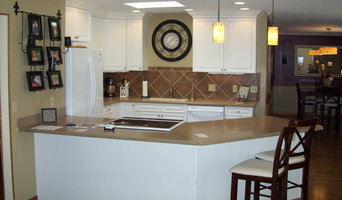 SL Jensen has been in business since 1984 specializing in high-end residential remodeling and new construction. We have craftsmen on staff for each specific trade. Partnering with architects is highly recommended. Project Management is an important aspect of our business providing an open book policy to our customers. We are a full service commercial and residential renovation company dedicated to providing the highest quality workmanship for our clients. We provide a wide range of construction and construction-related services for projects of varying scope, budget, schedule and complexity. Our experience includes projects from various sectors, including local and national retailers, developers, hotels, cultural and academic institutions and residential. Our goal is to help each of our clients realize their vision. We do this by managing the complexity inherent in construction projects and becoming a key part of the project team. From the initial design to the finishing details, Medallion Custom Homes professionals work closely with you incorporating exquisite design features, superior craftsmanship and unparalleled personal service to create your custom home. Fine detailing and tailor-made features are the trademarks of Medallion Custom Homes and make us one of Lincoln’s most respected and sought-after home builders. Medallion Custom Homes was founded with a passion for helping homeowners embody a careful balance of vision, comfort, practicality and visual interest. We work directly with you, listening carefully to your wishes, and offering maximum flexibility within your plan. We’ll customize your interior layouts to fit your lifestyle needs, and we welcome the opportunity to assist you with your individual collection of personal enhancements. The result is an inspired home that, inside and out, reflects your choice of comforts, convenience and personal taste. The same level of detail that goes into the design of your home goes into its construction. 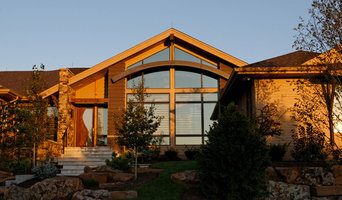 We begin by carefully choosing professional craftsmen who share the vision for your new home. We follow with daily on-site visits, open and ongoing communication with everyone involved, and a troubleshooting philosophy that overcomes most construction challenges before they occur. We invite your participation and believe that creating your custom home should be as inspiring as the home itself. This approach ensures that your trust in us, and the excitement generated by your new home, will last long after your home is completed. To truly appreciate the magnificence of having a unique individually-designed home, please contact us today.